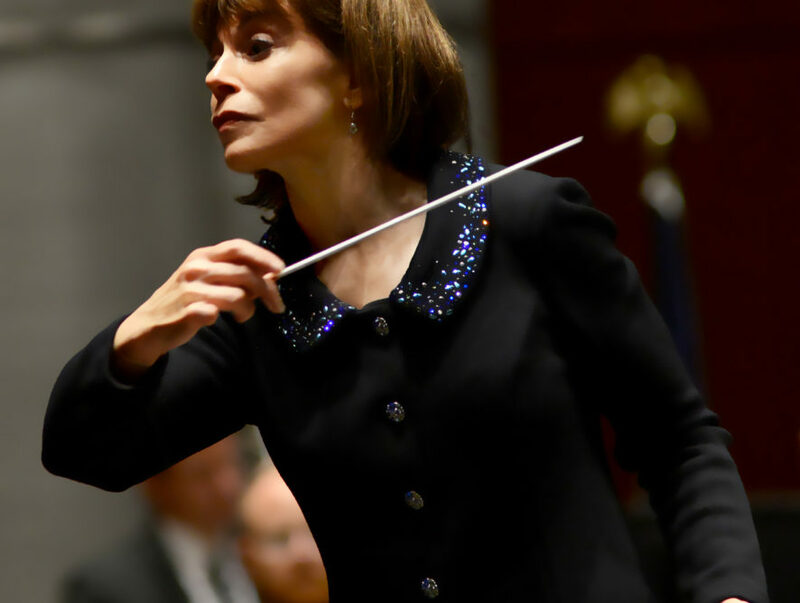 Maestro JoAnn Falletta will be concluding her final full season this spring with the Virginia Symphony Orchestra, capping off a year filled with accolades and memorable performances. 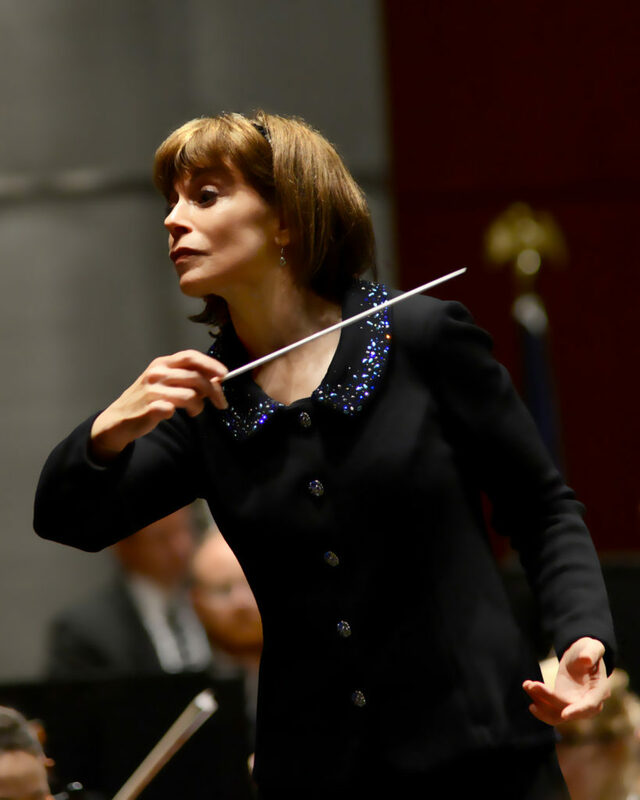 I spoke with JoAnn Falletta by phone recently to get her impressions of her latest achievements and of a career dating back to 1991 with Virginia Symphony. 2019 has already been a year of achievements for you, JoAnn. In early spring, NPR’s “Performance Today” named you Classical Woman of the Year. Can you reflect on the award and your past year at this stage in your career? Well, it has been a very special year of surprises like that. Frankly, I didn’t know that “Performance Today” was actually running a contest or a poll. I didn’t know it was going on until Fred Child called me to say I had been named. It was the inaugural year of this prize. I guess they’re going to do it every March for Women’s History Month. I was thrilled. I think a lot of it is because they play so many of our performances and recordings both with Virginia Symphony and Buffalo Philharmonic. I feel so good about that — that people are hearing us regularly on a wonderful show that I think is a fantastic advocate for new classical music. I’m really happy that it reflects on two orchestras in positive ways. Also this year, in February, you won your third Grammy Award. Was this particular Grammy more special to you than the previous two awards? It actually was because this Grammy was for the conductor and the engineer. Our other Grammys we won for the Buffalo Philharmonic were really for the piece of music by John Corigliano — “Mr Tambourine Man” — which is a fantastic piece of music. This (2019 Grammy) again was for the conductor and engineer. The music was composed by a very dear friend of mine, Kennith Fuchs. Ken and I met at Juilliard when we were students and we’ve remained friends through the years. I have done five discs (recordings) of his with the London Symphony. In addition, we did the world premier of one of the songs on that album — “Poems of Life” — with the Virginia Symphony. It was wonderful that that disc won because it was a disc of music by a person I believe in so strongly; a living American composer, and one of the great ones. I hadn’t planned to go (to the Grammy Awards) because I thought our chances were very small. I told Ken I wasn’t going and he talked me into it. I had to fly from Sweden to LA and then back to Buffalo overnight. It wasn’t as easy trip, but I have to say it was so worth it and magical to be there. LA is all about glamor, beauty and style. Your 2019-20 season will be your last full schedule with the Virginia Symphony Orchestra. How did you decide the time was right for your departure? I was really waiting for a time I thought was filled with a lot of promise for them. I realized the 100th anniversary, the success of our endowment campaign — all of these things were pointing towards a wonderful new era of the Virginia Symphony. Even the fact that Chrysler Hall is going to be renovated. It’ll be a great moment for the Virginia Symphony to open the newly refurbished Chrysler Hall. So, I thought this is the time to make the transition go as smoothly as possible. I thought it be helpful to have a transition year or two, and that’s actually what we’re in now. Auditions have already started for possible guest conductors that are looking for a relationship with the Virginia Symphony. That’ll continue next year. I feel, in a way, that overlap is healthy for them. There’s already someone in charge of trying to make sure the artistic health of the organization stays strong. The handoff will be seamless. There will never be a lack of artistic leadership as I’m saying goodbye. There will be someone right there ready to take over. In the 100th season, I imagine, that person will be announced. Were there any efforts made on behalf of the Symphony, private donors or the city of Norfolk to entice you to stay? I think there was a lot of regret, but at the same time I think they understood that it was a good way to do it and it was a good time to do it — a time of really positive energy. No music director wants to leave when the orchestra is in a crisis. 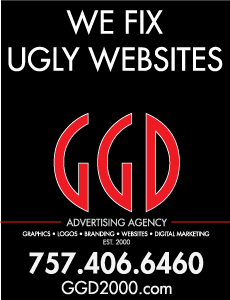 You want to leave with them poised to succeed. After I talked about it with the Board, I think they understood maybe this was a good time. Next year, in name, I’ll still be the director and I’ll probably be doing three or four weeks of concerts so that there’s still a presence and a fundraising role for me, which is very important for the life of the Virginia Symphony. Jeff, I felt this year (2018-19) every concert became incredibly special to me because it was one of the realizations that this was a very precious thing. In a way this has been happy for me to see the Symphony go on in a way that will remain healthy. You certainly aren’t retiring from music. You’ll continue as music director of the Buffalo Philharmonic Orchestra, guest conduct orchestras throughout the world, continue classical guitar composing, and other projects. Beyond the Virginia Symphony, what does your schedule look like in the coming year or two? I wasn’t quite sure but it’s still a very full schedule especially with guest conducting. Having a few more weeks free from Virginia Symphony enabled that to happen. I’ve been spending a lot more time in Europe guest conducting. That’s something that is interesting to me. It’s been an eye-opening and great learning experience too. Eye-opening in the way European symphonies function on a financial level or rehearsals? Well, that’s a difference. I’m seeing how that works and how it enables them to actually do a lot more new music and a lot more unusual music because they have the security of government funding. I think, Jeff, I much prefer the American way of working because it means we are really connected to our community. Looking back at your career since 1991 with Virginia Symphony combined with your experiences working in Buffalo and around the globe, how would you grade the city of Norfolk’s financial support of the arts including the Symphony? Norfolk has been extent of our security, frankly. They believed in the orchestra and they supported it heavily. Seeing Norfolk become a cultural center has been incredibly gratifying. To see the Opera here and the Virginia Stage Company, the Chrysler Museum and the Virginia Arts Festival transform the city. That’s fantastic. It doesn’t mean that all of these organizations don’t struggle and aren’t fragile. That’s probably true of every (arts) organization in our country. It means we have to be very creative and work very hard, and we do. I think Norfolk made the decision to welcome the arts and think of themselves as an artistic city. What will you miss about the big works that you have performed annually with the Virginia Arts Festival, like the Bernstein Mass? Oh, Jeff, you hit it. These big projects that we’ve done have been for me some of the great highlights of my life. With the Virginia Symphony, to do the Bernstein Mass; to do Mahler 8, to do the Rite of Spring on its 100th anniversary to the day of its premiere. I mean these things don’t happen to conductors. These have been magical things that we’ve been able to do because of the Arts Festival, and specifically David and Susan Goode wanting to bring special events to the people of the region. I will never forget any of those. They’ve been so large in my mind. The Bartok and Chihuly glass and Bluebeard’s Castle were amazing events that happened here. They are truly mountains in my musical career. Another big work the Virginia Arts Festival is presenting with you as conductor is Antony & Cleopatra at Chrysler Hall May 17-18. In terms of the composer, Florent Schmitt, what impressed you about his score for this work? I found the music first before the concept of doing it with the play. I’m always looking for unusual music to play; not necessarily contemporary but music that has been forgotten for one reason or another. Florent Schmitt was a composer that had almost been completely forgotten. He was a French composer who lived at the time of Debussy and Ravel, but lived well into the 20th century. He was maybe the most important French composer that no one had ever heard of. It’s very rich and goes beyond impressionism — beyond the music of Debussy and Ravel into a sort of late, post-Romantic style, which also has a little bit of German influence as well. I was first taken with this music because it’s portrayal of Antony and Cleopatra — who can definitely be portrayed as flawed characters who make a lot of mistakes — he gave them certain nobility and dignity in the way he treated them in the music. Originally, I found out, the music was intended to be turned into the play Antony and Cleopatra. I talked to Bill Buckley of The Globe, who actually had the idea of returning it that way. So that’s what we are doing. The play will be mounted in its short form — because Shakespeare’s plays can be very long — with the music integrated into it. It’s a great experiment for us. It has been done at The Globe (London) and the Hollywood Bowl. This will be its East Coast premiere. You end the Virginia Symphony’s season with Mahler’s Symphony No. 2. Why did you select this work as your closing performance of your last full season? Is it also timed for Easter? That was a large part of it. We had planned performing around Easter and also Passover. It’s a beautiful piece that’s not specifically religious. And Mahler, Jeff as you know, is for every orchestra and every musician one of the highlights of what we play. In my time with the Virginia Symphony, we’ve played every Mahler Symphony and I’m very proud of that, though we don’t do them that often; partly because they’re so large and so expensive. We thought just lining up on this special holy week with a chorus and with this being an almost cult piece because people travel from all over to hear a Mahler Symphony…maybe it’s the hopefulness of it. Being the final piece of my final full season it seemed like now was the time to do it. In addition to a performance of the work of Strauss with the Virginia Symphony Orchestra in 2020, what does your grand finale look like in Hampton Roads? I think it’s not really a secret but we’re going to do Beethoven 9 with the Arts Festival because that year is the 250 anniversary of his birth. You can imagine the international celebration for that. That will be the final concert.